VenoTrain Micro stockings provide controlled, gradient compression with maximum pressure at the ankles, decreasing gradually up the leg. This stimulates blood circulation to help prevent varicose veins and tired, achy legs. Made with 50% microfibre, the moisture-wicking material is breathable, soft and gentle on your skin. 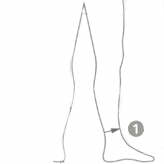 Measure the circumference of your ankle at its thinnest point (1). 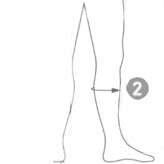 Measure the circumference of your calf at its thickest point (2). 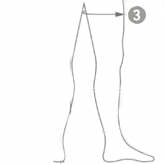 Measure the circumference of the thigh at its thickest point (3). 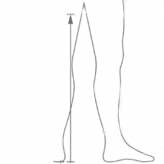 Measure the length of your whole leg from your heel to the top of your thigh. At 155cm tall it was great to be able to source a length that suited me perfectly. Way more comfortable than the stockings I was sent home from hospital with and stayed put neatly under my work trousers. Can’t recommend them highly enough. Money well spent.